A large body of water in any garden is always an attraction to visitors, and the Michelin Pond is no exception! 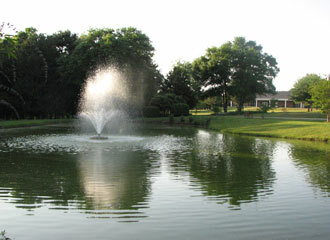 Through a generous donation from Michelin Tire Company in 1999, the pond was built, along with a memorial fountain to Doug Killingsworth – the DABG’s first president. The pond provides a year-round inviting vista, and with two benches nearby, it’s a perfect location for picnics… or just a relaxing break from the everyday hustle and bustle of life!